Anagha joined the Office of the General Counsel as Senior Counsel for the Business Transactions and Land Use group in June, 2016 with special focus on complex public/private partnership projects. She comes from Wendel, Rosen, Black & Dean where she was a Land Use and Real Estate Partner from 2008. At Wendel, she counseled clients on planning, zoning and environmental laws while creating strategies and relationship building within stakeholder groups to obtain support and approval for complex projects. Prior to this, Anagha was a Law Clerk to Honorable Consuelo Marshall at the U.S. District Court and an Associate at Heller Ehrman. 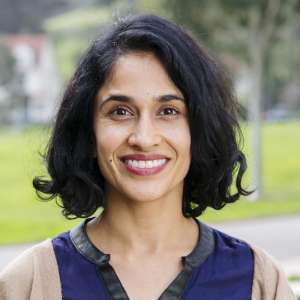 Anagha received her undergraduate degree from UC Berkeley and law degree from UC Davis School of Law.